Pasteurization has been shown to be very effective at killing a variety of pathogenic bacteria including: Salmonella, E. coli, Mycobacterium avium subspecies paratuberculosis, Mycobacterium californicum, Mycobacterium bovis, and Listeria monocytogenes. With proper pasteurization, these bacteria are reduced in both waste milk and colostrum. If you are using pasteurization for waste milk to control the spread of disease, feeding fresh, unpasteurized colostrum represents a break in the system that could allow organisms to spread to your replacement herd. Pasteurizing colostrum can eliminate this weak link and may also improve blood IgG levels and calf health. Bacteria can get into colostrum through contamination from milking dirty udders, reservoirs in dirty milking equipment or colostrum storage containers, and by direct shedding from the udder. We are learning that pasteurization can be used for colostrum in a similar manner as it is used for waste milk. However, there are distinct differences in the way colostrum is pasteurized compared to waste milk. First, we must remember that the nutrient density of colostrum is different from whole milk. Solids such as fat and protein affect how heat is transferred through colostrum or milk. The fat content of colostrum can often be at least two times that of milk and may be much greater. Protein is often four or more times greater in colostrum versus whole milk. In addition, colostrum has high levels of immunoglobulins that require different heat levels and treatment than those used for milk. Early attempts at pasteurizing colostrum using the same time and temperature used in pasteurizing whole milk were largely unsuccessful due to the large reduction in immunoglobulin levels or the creation of a thick, pudding-like mass that was hard to feed and even harder to clean out of pasteurization equipment. In the past few years, research has studied how to best pasteurize colostrum while maintaining its quality. Since colostrum can be quite varied from cow to cow, it is unlikely that a single definition of time and temperature can be found for true pasteurization for all colostrum. However, a study using a wide variety of colostrum samples conducted at Penn State and published in the Journal of Dairy Science early this year showed that, on average, heating colostrum at 140°F for 30 minutes is the optimum combination to reduce bacteria counts without affecting colostrum IgG levels or viscosity. Other research from the University of Minnesota showed that if higher levels of disease-causing organisms are present in the colostrum, heating to 140°F for 60 minutes will give a more reliable kill of these harmful bacteria; however, slightly more IgG may be lost in the process. Based on the different characteristics of colostrum compared to waste milk, researchers have determined that batch pasteurization is the only way to successfully pasteurize colostrum. In addition, consistent heating is critical, because once temperatures get over 140°F (60°C), IgG proteins coagulate and IgG levels in the processed colostrum drop. Therefore, a reliable pasteurizer that has good temperature controls is recommended. An unexpected finding of the research studying pasteurized colostrum was that calves fed pasteurized colostrum absorbed more IgG. 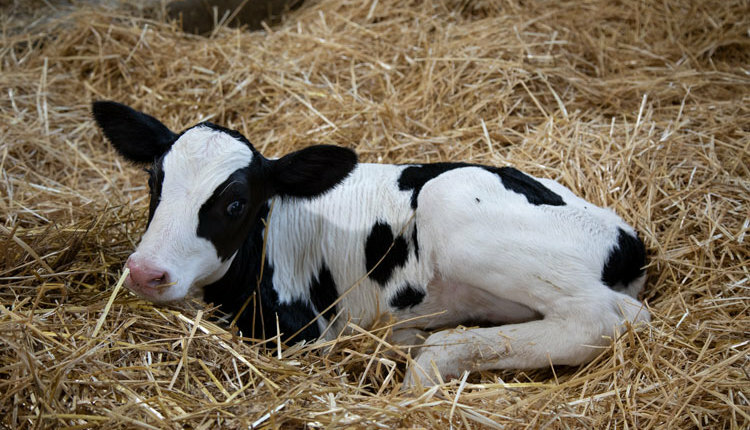 In a Minnesota study, 24-hour serum IgG was 22.3 mg/mL in calves fed pasteurized colostrum compared to 18.1 mg/mL in calves fed raw colostrum. Apparent efficiency of IgG absorption was also improved in the calves fed pasteurized colostrum (35.6 versus 26.1 percent). This phenomenon was observed in two different experiments at Penn State, as well. In one study, calves fed colostrum heated at 140°F for 30 minutes had serum IgG of 22.6 mg/mL at 24 hours compared to 19.6 mg/mL for calves fed raw colostrum. The higher blood IgG levels remained for the first five weeks of age. Absorption efficiency was 33.2 percent for pasteurized colostrum and 27.7 percent for raw. In a second Penn State study, calves fed pasteurized colostrum had blood IgG levels of 26.7 mg/mL compared to 20.2 mg/mL at 24 hours of age for calves fed unheated colostrum. Efficiency of absorption was 43.9 percent and 33.9 percent for pasteurized and raw colostrum, respectively. In these three studies, feeding pasteurized colostrum increased 24-hour serum IgG levels by 25 percent and absorption efficiency by 28 percent compared to feeding raw colostrum. Improving absorption efficiency can have huge impacts on calves as they are able to attain significantly higher blood levels of IgG when fed the same quality of colostrum. Based on past research, we know that increasing 24-hour blood IgG levels can have significant positive effects on calf health. On a practical basis, colostrum from the cow that calved today will have to be harvested, pasteurized, and cooled down before feeding. As a result, most calves probably will not receive colostrum from their dam. Instead, pasteurized colostrum will be stored (refrigerated if a large herd, frozen if a small herd) to be used for the next calf that is born. Calves will still be fed colostrum produced by cows from your herd which should ensure that antibodies specific to the organisms found on the farm are passed to calves. Results of colostrum pasteurization research suggest that heat-treating colostrum may present an excellent opportunity to reduce bacterial populations in colostrum and increase IgG absorption, thereby reducing the percentage of dairy calves that experience failure of passive antibody transfer. The explanation of why IgG absorption is improved when colostrum is pasteurized is not yet clear, although it may be due to changes in colostrum components when they are exposed to heat or possibly to reduced competition between proteins for absorption. Past research has shown that bacteria introduced into the gut before colostrum feeding can reduce the amount of IgG absorbed by calves. But, in a recent Penn State study, calves fed colostrum that contained a high bacterial load (measured by standard plate count and coliform count) absorbed similar amounts of IgG as calves fed colostrum with a low bacterial load. Although further research is needed to explain why IgG absorption improves, it seems clear that heating colostrum does offer advantages in providing cleaner colostrum for calves along with improved IgG absorption. This could be particularly helpful in herds working to limit the spread of Johne's. 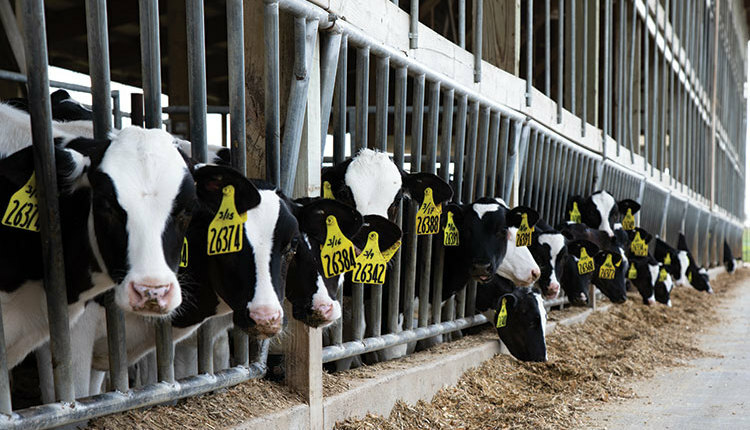 Limit feeding heifers . . . What we've learned and what we recommend.